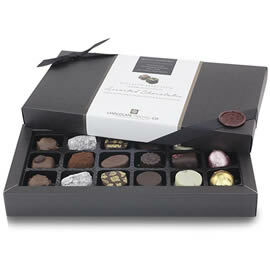 A luxury chocolate box from the Chocolate Trading Co. Superior Selection for Valentine's. The sophisticated selection of twenty-four chocolates are made using only pure, natural, high quality ingredients giving rich and flavour filled gourmet chocolates with reduced sugars. Chocolate Type: Milk, dark and white. Flavours: Caramelised Almonds and Hazelnuts, Cointreau & Orange, Raspberry Ganache, Rum & Raisin, Marzipan, Coffee, Crème Brulée, Salted Butter Caramenl. 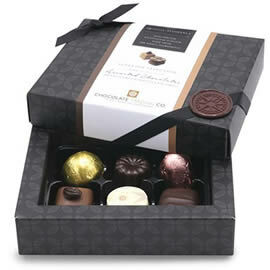 Types: truffles, pralines, caramels, ganaches, filled chocolates. Collection: Chocolate Trading Co. Superior Selection. 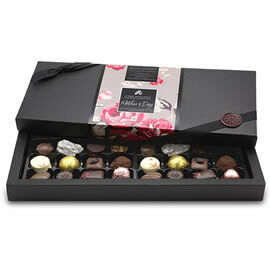 A chocolate box with assorted selection of dark, milk and white chocolates from the Superior Selection range from the Chocolate Trading Co. for Valentine's Day. 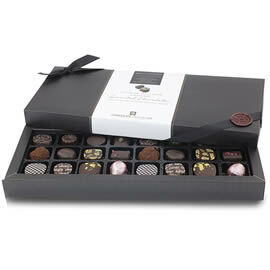 A luxury chocolate box from the Chocolate Trading Co. Superior Selection. Twenty-four dark, milk and white chocolates for Mother's Day. 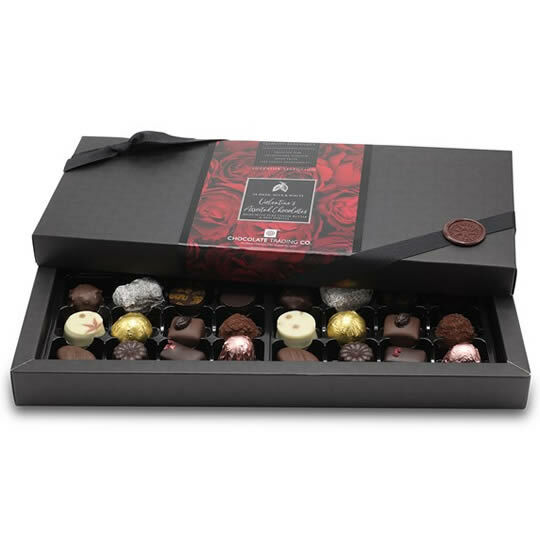 An extra special chocolate gift box containing a diverse collection of 24 different milk chocolates, from the Chocolate Trading Co. Superior Selection. Chocolate Trading Company Superior Selection 18 Dark, Milk & White Assorted Chocolate, a box of chocolates chosen for their purity of ingredients and outstanding flavours. A superior selection of Mostly Dark chocolates chosen for their purity of ingredients and outstanding flavours. 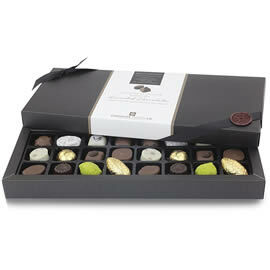 The Chocolate Trading Company Superior Selection mini chocolate box, a gift box of 6 assorted milk, dark and white chocolates. 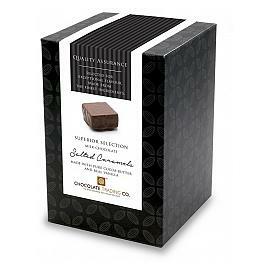 Chocolate Trading Co. Superior Selection caramels Salted Butter Caramels, delicious salted butter chocolate caramels enrobed in a fine milk chocolate.